Posted April 30th, 2015 at 10:48 am. Professor of Russian and Second Language Acquisition and Director of the Russian Language Institute Dan E. Davidson recently testified before the House Appropriations Subcommittee on State and Foreign Operations on the need for support of international exchange, research, and training programs with the regions of the world critical for U.S. national security and economic competitiveness. Speaking in his role as President of American Councils for International Education, Davidson drew attention to the importance of academic exchange and educational development activities in Africa, China, the Middle East, and, particularly, to East Europe and Eurasia, where bloodshed, immense social dislocation, and serious, potentially long-term political divisions have recently occurred. Speaking before the U.S. House of Representatives Committee on Appropriations, Subcommittee on State, Foreign Operations, and Related Programs, Davidson recommended funding for FY 2016 in the State, Foreign Operations bill at $630 million for programs under the U.S. Department of State’s Educational and Cultural Affairs (ECA), a level slightly above that requested by the Obama Administration for FY 2016. 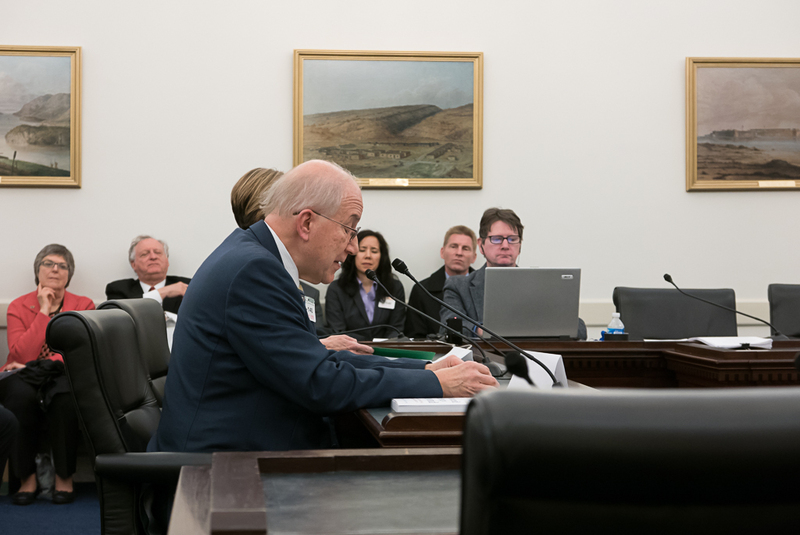 The subcommittee is chaired by Rep. Kay Granger (R-Texas), with Nita Lowey (D-New York) the ranking member with a total of six committee members participating. Davidson also commented on how the Kennedy-Lugar Youth Exchange and Study (YES) and the Future Leaders Exchange (FLEX) programs—with a network of alumni now approaching 40,000 around the world—serve as highly visible educational models of transparency, inclusion, and acceptance of ethnic diversity and physical challenge. These programs “have created real access to opportunity in countries where, in the past, such opportunities were available only to political elites. In that respect, they represent American values and ideals in action, rather than as words on a page. Moreover, exchange alumni take on increasingly important roles in their home countries in government, business, and the NGO community,” Davidson testified. Among assistance programs, Davidson singled out three American Councils initiatives that are making a major difference within the region and in our own understanding of East Europe and Eurasia: 1) the support of transparent, merit-based scholarship and university admissions testing in Kyrgyzstan, Georgia, and Ukraine; 2) the U.S. role in trans-Atlantic support for the European Humanities University, which was forcibly closed by the Lukashenko regime in 2004 and has operated since that time as a Belarusian university in exile;and 3) the Title VIII research and training program for U.S. scholars and graduate students committed to the serious study of East Europe, Russia, and Eurasia. “Title VIII supports policy-relevant research, on-site fieldwork, and advanced language training in areas essential for U.S. policy formation and analysis. At a recent conference convened by the Carnegie Corporation, practitioners in U.S. foreign policy have designated the kinds of region-specific, grounded research supported by Title VIII as the ‘most useful and practical scholarship for their daily work,’” Davidson told the committee. American Councils is an administering organization for this long-standing State Department program. For more on Bryn Mawr’s Russian Department, visit their website.